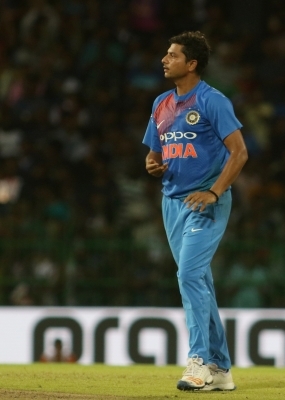 After wrapping up the Sri Lanka tour on a high, chinaman Kuldeep Yadav on Thursday welcomed the new rotation policy by the Indian cricket team, which he felt will provide a good chance to try out new combinations in the lead up to the 2019 World Cup. After thrashing the hosts 3-0 in the Tests, the Kohli-led side followed up by completing a 5-0 clean sweep in the five One-Day Internationals (ODI). The visitors also outclassed the hosts in the lone one-off Twenty20 International (T20I) to wrap up the tour on a confident note here on Wednesday. “Everyone has to contribute, especially when the captain and coach decide to rotate players. As a player, you have to perform in every game, it’s a pressure game,” the Kanpur-born was quoted as saying by the International Cricket Council (ICC) website. With Ravichandran Ashwin and Ravindra Jadeja left out of the limited overs squad, it all depended on the likes of Kuldeep and fellow wrist spinner Yuzvendra Chahal to make the most of the given chances in Sri Lanka. While left-arm orthodox Axar Patel was at the helm of spin-unit affairs for the tour, Kuldeep and Chahal stood out to form a lethal duo in the middle overs. Kuldeep praised his captain for not only shouldering the responsibility but also for giving bowlers the freedom to bowl to their fields. “He is a leader. He just leads from the front and gives you everything you want on the field,” Kuldeep said. “When I am bowling, he comes to me and asks me about what field I would like. That’s what a bowler wants from the captain. “He gives bowlers freedom and Virat bhai has given me tremendous support through the Tests and ODI series and now too. So I am very happy with this kind of team unity and the leader,” he added.